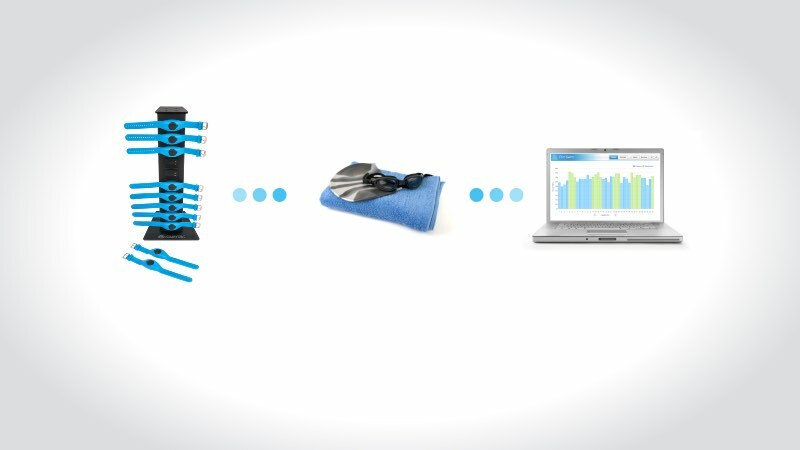 An amazingly simple solution for tracking swimmers performance. Want SWIMTAG At Your Pool? Contact us with your details. We can then arrange a quote suitable to your pools needs. The SWIMTAG platform has been built to motivate and inspire recreational swimmers of every ability. The award winning SWIMTAG platform is used by leading pool operators to attract, motivate and support their swimming members. Swimmers use their membership card to activate a wristband on the docking station, no buttons or calibration required, simply slip on a band and jump in the pool. The swimmer returns their wristband to the docking station and their swim data is automatically uploaded to the website, ready to be viewed online. The wristband is now ready for the next swimmer. Try it yourself at one of our sites across Europe or contact us to arrange a demonstration. We’ve spent years developing a tool that will help pools to motivate swimmers of all ages and abilities. To date SWIMTAG users have uploaded swims in one of SWIMTAG pools worldwide, entering competitions and completing exciting challenges along the way. mini-Club 5 bay or larger Club-SWIMTAG 10 bay versions available depending on the budget, size and usage of your pool. SWIMTAG Integrates with your current membership cards, bands, tags or keys. We support all our operators and users over the phone, email, via the SWIMTAG website and on social media. The SWIMTAG docking station is installed at your reception area requiring only power and internet access. Really busy pool? Each docking station can support up to 40 wristbands and sites can buy additional towers if required. Our Digital Notice Boards can display your live leader boards, competitions, challenges and marketing materials on any compatible screen around your club. 222 Sports are already working with a wide range of pool operators across the country from private schools, universities, independent clubs, councils and leisure management companies. We work closely with all our operators to ensure they are getting the maximum return on their investment and helping them engage with their swimming membership base.